Spokane water customers now have twice as long to pay their utility bills after the Spokane City Council stretched the due date by 10 days. Just 2 percent of Spokane residents pay their water, sewer and trash bills on time. But 62 percent make their monthly payment in the 11- to 20-day window after bills arrive. City spokeswoman Marlene Feist said people were required to pay their bill 10 days after they were postmarked. She said the city looked at other utilities in the area, which usually allow people five to 11 days longer than Spokane to pay their bills, when they proposed the new deadlines. Jim Fields, assistant general manager for Vera Water and Power, the utility that provides electricity to about 12,000 Spokane Valley homes and water to 8,500, said 87 percent of their customers pay on time every month. He said the 13 percent who do pay their bills late are often late every billing cycle. 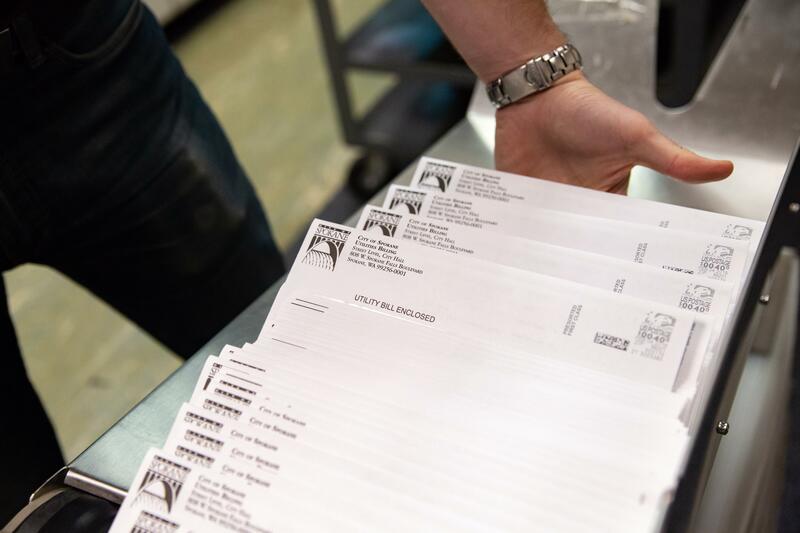 Andy Barth, a spokesman for Inland Power and Light, which serves about 35,000 customers across 13 Eastern Washington and North Idaho counties, said only 4 percent to 6 percent of their customers pay their bills late. Inland Power bills are due 20 days after they are sent and allow for an additional 10-day grace period before charging a 5 percent fee. The company also charges a $10 disconnection fee and typically will shut off a person’s power between 40 to 45 days after the initial bill is sent. Vera and Inland Power, like other utilities in the area, provide 20 to 30 days before charging a late fee and sending out a shut-off notice. Most companies will shut off power or water after 40 to 45 days of nonpayment. The city of Spokane will charge a 1 percent late fee 20 days after a bill goes out. When a water user is 30 days past due, they will get a late notice in the next bill, and after 60 days, they will get a delinquency notice. Customers get an additional 10 days before they receive a shut-off warning, and after about 90 days of nonpayment, the city can shut off their water. Feist said the city can set up payment arrangements or connect people to social service programs if they are having difficulty paying their bill. The city has a UHelp program that assists low-income water users pay their bills, and other community programs such as SNAP assist people with paying their heating and electrical bills during an emergency. Feist said now that the city has increased the amount of time utility customers have to pay their bill, it can launch its e-billing system that will include an auto-pay option. Published: Feb. 7, 2019, midnight Updated: Feb. 7, 2019, 6:31 a.m.